Prism by the end of next week. 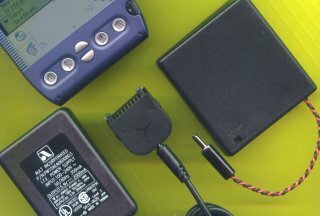 The adapter will accept the standard cradle power supply and for emergencies it also accepts an optional battery module. Both products will be under $20 each. I wish I would have had one of these before I left for Comdex.